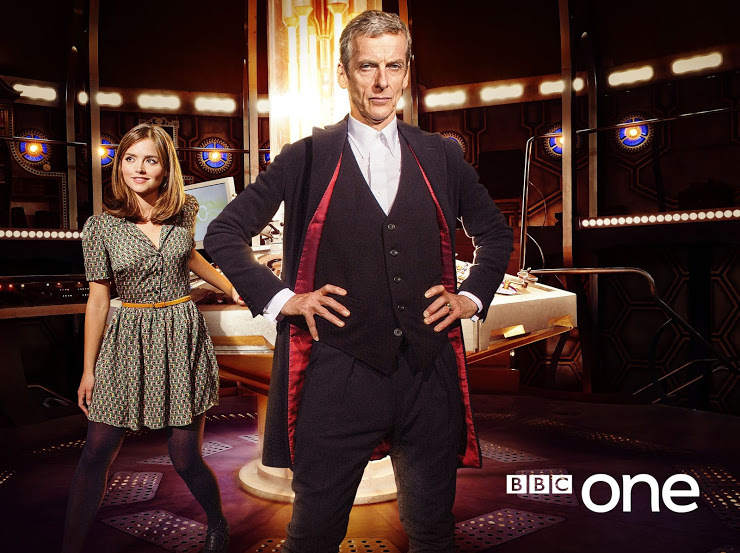 BBC One Confirms New Season of Doctor Who Starts On Saturday 23 August! The BBC has today confirmed that the highly-anticipated eighth series of the hit sci-fi drama Doctor Who will be broadcast on BBC One on Saturday 23 August, 2014. A new a new promotional picture and an exclusive 15-second TV teaser showing a first-look glimpse of the new Doctor and Clara, has also been released! So, check out the 15 second TV teaser and get ready for the start of the new season of Doctor Who on Saturday 23rd August! As the final act of Zero Year unfolds, Savage City continues Scott Snyder’s and Greg Capullo’s epic reimagining of Bruce Wayne’s early career as Batman. Weaving a compelling blend of classic and modern elements from the characters seventy five year mythology, Zero Year has brought an entirely new perspective to the many pivotal, and defining moments of Bruce Wayne’s life, while also effectively modernizing the Dark Knight’s origin within the framework of DC Comics New 52. Batman #32 continues to build on the uncanny symbiosis between the past and present that Zero Year has established, as this penultimate issue of Scott Snyder’s and Greg Capullo’s sweeping epic takes Batman’s conflict with the Riddler to a whole new level as Zero Year comes full circle to present the Dark Knight with his greatest challenge of all. Having traced the Riddler’s signal from the screen in Gotham square, Batman and his allies prepare to make their move on Nygma. The flooded urban wilderness of Gotham City also provides the perfect cover for their mission, with Gordon and the Special Ops SEALS using the tunnels to their advantage, Batman also takes an equally stealth route, while Lucius Fox monitors their progress and relays instructions. However, the Riddler’s network of automated drones and robot weapons systems are everywhere. With Gotham’s fate now hanging by a thread, Batman must use all his skills to find the Riddler, but as the web of puzzles begins to tighten Nygma is ready to taunt the Dark Knight every step of the way. Over the course of Zero Year we have witnessed events unfold as Bruce returned to Gotham after his years of training. Its been fascinating to see this brash, arrogant young man, embark on his crime fighting career, he’s had some tough lessons to learn along the way, arguing with Alfred and locking horns with Lieutenant Gordon, while the trauma of his parents murder continues impact on his actions. There have been crushing defeats along the way too, but perhaps the most important lesson of all has been for Bruce to finally realize that he can’t do it all. He needs allies, and it’s been fascinating to see Bruce overcome his differences with Lieutenant Gordon and begin working with Lucius Fox. Indeed, Jim Gordon and Lucius Fox both have pivotal roles to play in Batman #32, especially Lucius, and his scenes with Batman are excellent. Similarly, I think the way Scott Snyder eloquently shifts the focus of this issue to the bond Bruce has with Alfred, is brilliantly handled, as we arrive at what proves to be the most significant moment in Zero Year so far. Snyder’s writing here will simply blow you away; he captures and bottles the very essence of what Batman is all about in one, superbly crafted scene that will have you hanging on every word, every step, and every narrative beat as the conclusion approaches. Greg Capullo’s art is as incredible as ever, Batman #32 looks amazing. The combination of Capullo art and Danny Miki’s inks works wonders this issue, from the underground tunnels, to the shadowy depths of an elevator shaft, the Riddler’s robot drones are another highlight, as is the depiction of a ravaged, overgrown, Gotham City, Batman #32 perfectly captures every nuance of Snyder’s work, and FCO Plascencia’s colors are really stunning, with superb tones and textures throughout. Greg Capullo, Danny Miki, and FCO have really pulled out all the stops for this issue, and those last few pages will take your breath away! 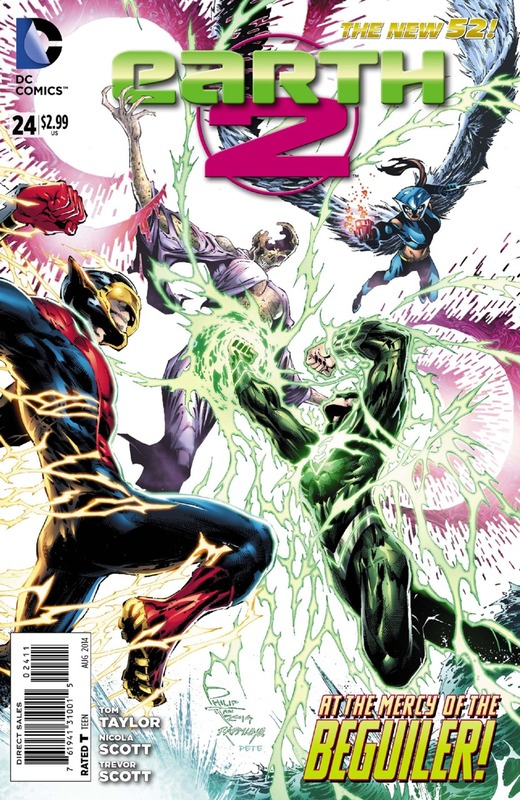 Batman #32 is an exciting, action packed issue, and sets the stage for the Zero Year finale. The way Scott Snyder leads up to this so ingenious, that it will have your jaw hitting the floor with the sheer ingenuity of it all. 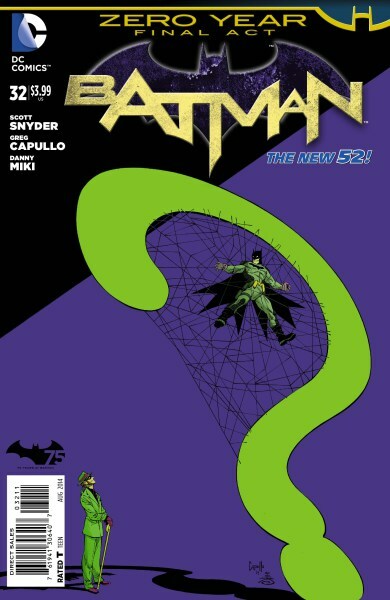 Greg Capullo’s cover for this issue is also really striking, with Batman snared in the strands of the Nygma’s web, which in turn is suspended within a question mark, while a swathe of purple bisects the cover as the Riddler looks on. Batman #32 also has a Biker Batman variant cover by Tony Moore, a must for those who enjoyed Batman’s dramatic entrance from last issue. Batman #32 was a great issue, it keep me guessing right up until the final page, and I can’t wait to find out what happens in the epic conclusion of Zero Year! The war between the Saviors and the Hilltop communities is over. Negan was defeated and imprisoned. Two years have now passed, Rick and his fellow survivors have rebuilt Alexandria, transforming it into a well protected, self-sustaining community, where Negan is still held captive in a secure cell. Rick has made a good recovery since his leg was broken, although he still walks with a stick, and Carl wants to learn to become a Blacksmith and move to the Hilltop. Now, as Rick and Eugene tour some of Alexandria’s facilities, a new group of survivors, led by a woman called Magna, have been welcomed into their community and begin to settle in. Outwardly, everything seems fine, but can these newcomers really be trusted? After the conclusion of All Out War, last issue saw events jump forward two years as we rejoined Rick and the other survivors after they had rebuilt Alexandria, Rick even wears a very basic prosthesis on his missing hand now, and the community he has established seems to be thriving. The majority of The Walking Dead #128 centres around how well Alexandria is doing, especially with the addition of a mill and bakery, even Rick is bowled over by the irony that bread could soon become a more valuable commodity to his community than even bullets. I really like this change in pace that Robert Kirkman has introduced to the series. Its good to see Rick and his friends doing so well now, however, this is The Walking Dead, so I wouldn’t expect things to stay too idyllic for long. Kirkman gives us breathing room to catch up with some of the characters, including Eugene, although his relationship with Rosita doesn’t seem to be in a good place right now. The time has come for Rick to decide if he will let Carl go and live at the Hilltop and train to become a Blacksmith. This is a great scene, it’s possibly one of the hardest decisions Rick’s ever had to make, the moment is also incredibly poignant, and gives you a real sense of just how much time has passed and how much the characters have evolved. Negan is still confined, he doesn’t seem in a good way, physically or mentally, however, as we know, he can never be underestimated. The most interesting aspect of The Walking Dead #128 is Magna and her new group of survivors, who were rescued last issue. The scenes where Andrea is questioning Magna are very interesting, as she tries to glean what she can about the new arrivals, and find out how they managed to survive for so long. Magna’s story actually turns out to be highly insightful, perhaps even a very familiar one. Obviously its very early days for these new characters, we still have a lot to learn about them, and it will be interesting to see how things work out. Obviously they will have to earn the trust of Rick’s community. However, the thing I really like about Magna and her friends is how they perceive the set up in Alexandria, it all seems a little too good to be true to them, and their suspicions certainly leave us with much to ponder over. The Walking Dead #128 continues to build on events following All Out War, and this issue looks great as well. Charlie Adlard’s art is excellent, there is a lot of story to cram into this issue, and I thought that the characters were all really well defined, the detail lavished on every scene is exceptional, and Stefano Gaudiano’s inks also enhance the atmosphere perfectly – especially as the issue builds towards its conclusion. We also get some brief, but exciting Zombie action, when an uncharted region of countryside is explored. 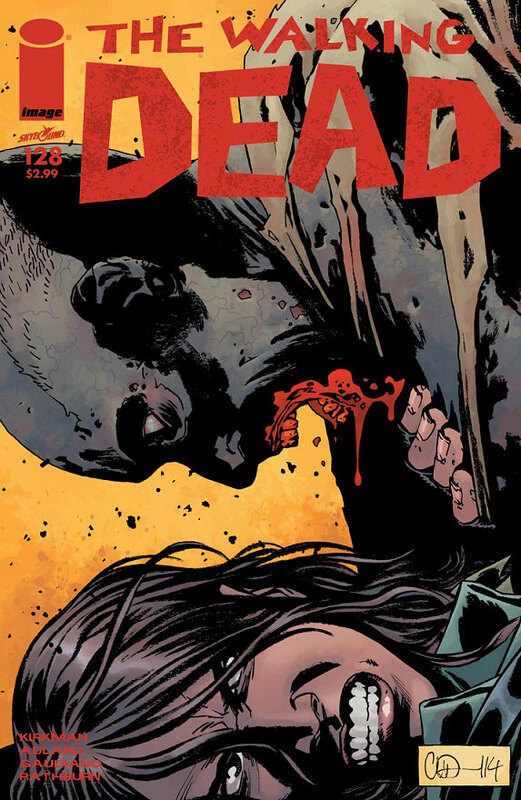 While it may be a slower paced issue, The Walking Dead #128 certainly seems to be setting the groundwork for big things to come. There are plenty of new developments in the lives of the survivors, the new characters are really interesting, and I expect that it won’t be long before events in Alexandria begin to kick off. 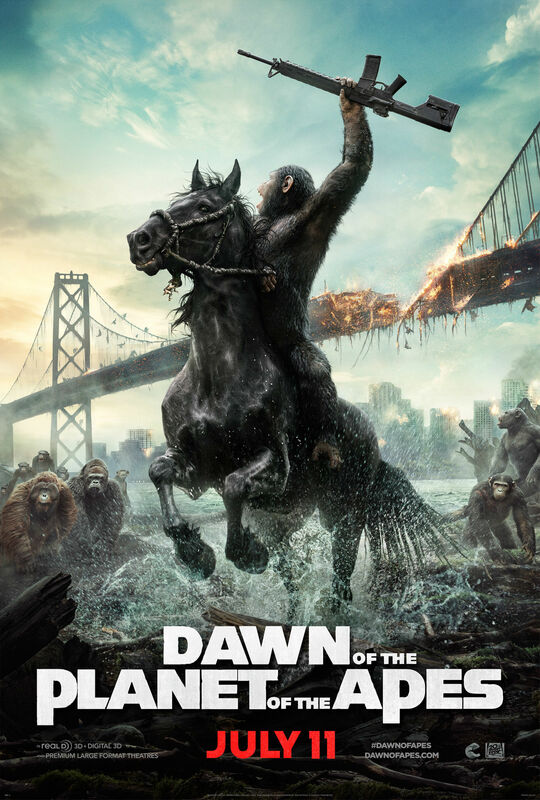 Check out the official final trailer for Dawn of the Planet of the Apes! Andrez Bergen, Black White, Bullet Gal, Bullet Gal #2, Bullet Gal #2 Review, Depth Charging Ice Planet Goth, IF? Commix, Tales to Admonish, Tobacco Stained Mountain Goat, Who is Killing the Great Capes of Heropa? Bullet Gal #2 is the brand new issue from Australian author Andrez Bergen, writer of the acclaimed detective style noir superhero novel Who is Killing the Great Capes of Heropa?, IF? Commix book series Tales to Admonish, and the anthology Black White. Now, along with the upcoming release of his new novel, Depth Charging Ice Planet Goth (July 2014), and graphic novel Tobacco Stained Mountain Goat (Aug 2014), Japan based writer Andrez Bergen’s latest IF? 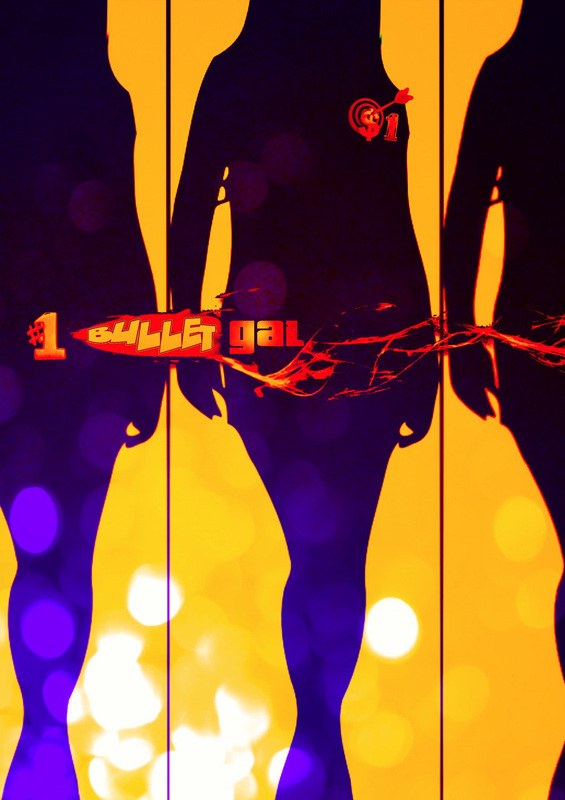 Commix title, Bullet Gal #2 will also be published in print form in August 2014 in Australia. The Bullet Gal series is a prequel to some of Andrez Bergen’s earlier works, ongoing themes and settings are masterfully drawn into the dark narrative of this new series by Bergan, as he charts the exploits of the young woman, Mizi, who will eventually go on to become Bullet Gal, while seamlessly weaving her origin into the rich tapestry of the noir-style world that he has already established his novels and comic books. Set in the city of Heropa, the first issue of Bullet Gal saw femme fatale Mizi (her last name is still a mystery) targeting and assassinating citizens of ill-repute. From there we were introduced to the mysterious Lee, who offered Mizi a chance to join a Cape group called The Crime Crusaders Crew, but Lee must also be reign in Mizi’s unpredictable nature so she can be fully accepted into the ranks of the group. But does Mizi really want to be a member of The Crime Crusaders Crew, and can her new mentor be trusted? Bullet Gal #2 continues to reveal more about Mizi’s past, as we lean about her arrival in Heropa when she was seventeen, with only her duffel bag, twin star model B pistols, a taste for strong espressos, and her steely resolve to meet out her own brand of truth and justice. A month has past since she first met Lee; her training has gone well so far, now she is ready to carry out her first mission. Gun Happy throws us right into the middle of Mizi’s first assignment, yet even with the target firmly in her sights, and everything going according to plan, Mizi cannot resist overstepping the mark with Lee. Bullet Gal #2 shows how Mizi and Lee struggling to work together, she is still as wild as ever, while he remains as cryptic as he is disciplined, and this issue highlights the fraught, and often tempestuous partnership that makes these characters so compelling. The story and art by Andrez Bergen for Bullet Gal #2 is superb. He gives this noir style, hardboiled pulp romp a very distinctive style artistically, one that perfectly complements his well executed storyline, until it completely immerses you within the dark metropolis of Heropa itself and the stylishly noir infused narrative. Bullet Gal #2 is going to be available in print-form in Australia in August 2014, but the digital form (available worldwide) is something really special indeed. With its stunning variant cover, the digital version of Bullet Gal #2 will include the entirety of issue #1 at the back of the book, as well as an exclusive preview of Andrez Bergen’s other new project: The Tobacco Stained Mountain Goat graphic novel, that will also be released in August. Bullet Gal #2 is another terrific issue from Andrez Bergen, features great story and art, this finely crafted tale of noir and suspense will be available direct from the IF? Commix website. All New X-Men #28 is another great issue by Brian Michael Bendis, Stuart Immonen, and Wade Von Grawbadger, as numerous plot threads from the current storyline begin to converge, we also gain a new perspective on last years Battle of the Atom crossover event. It’s fascinating to witness how the Evil Brotherhood was formed in the future, while their attack on the Original X-Men unfolds simultaneously in the present day. The way that Bendis manages to balance each branch of this issues time warping narrative is simply superb, there is a hell of a lot of plot crammed into this issue, and the sheer pace and spectacle of it all is breathtaking. All New X-Men #28 ingeniously serves as a prequel of sorts to Battle of the Atom, I really liked the scenes featuring Xavier’s son (the leader of the future Brotherhood) and Raze, where we saw the terrible state that Beast was in when they discovered him and brought him into the fold. As the X-Men struggle against the future Brotherhoods attack in the present, the plot continues to build on the implications of Jean’s new power set that was revealed in The Trial of Jean Grey, when the X-Men joined forces with the Guardians of the Galaxy and the Starjammers to rescue Jean from the Shi’ar Empire after she was put on trial for the crimes of her older, Phoenix-Possessed, self. Having realized that he should have dealt with Jean first last time, and how dangerous she can be, the young Xavier and his future Brotherhood hijacked the Stepford Sisters Hive Mind to strike at Jean’s mindscape and attack the X-Men. The smooth transition between the psychic plane and the physical reality heightens the tension further, as the issue build towards an exciting, and very surprising conclusion. Stuart Immonen’s art on All New X-Men #28 is as stunning as ever. Together with Wade Von Grawbadger’s inks and the excellent work of colorist Marte Gracia, this issue looks incredible. There are so many stand out scenes in this issue: from the intricate detail of the scrawled equations on the walls of the future Beast’s lab, through to the spectacular double-page spread featuring a tremendous battle between the Brotherhood of Evil Mutants and the future X-Men, and watching Jean’s torment in the haunting bleakness of the Hive Mind, the way in which Immonen seamlessly envelopes us within the entwined narratives of present and future events is truly astonishing. 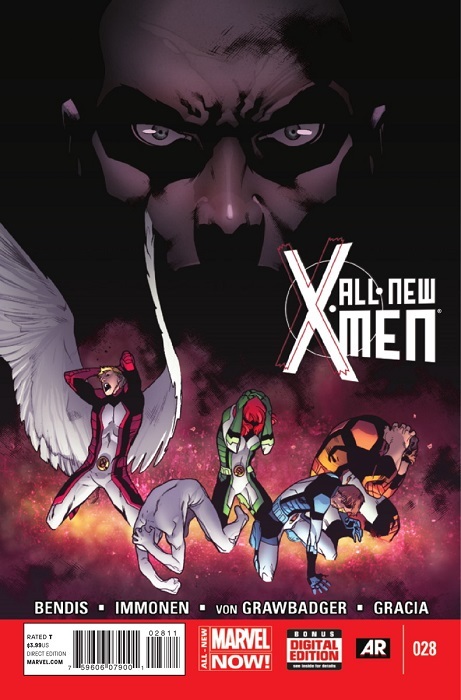 All New X-Men #28 moves along at a cracking pace, and rapidly builds towards its thrilling final moments as the adult Cyclops and Emma Frost attempt to get the young Jean away from the Brotherhood, when a surprise attack catches everyone off guard. That fact that all the characters are so wrapped up in what’s happening, that none of them actually see what’s coming, is also testament to how well Bendis handles these characters, its thrilling stuff, and Immonen’s art on that final page captures the intensity of that moment perfectly. I was surprised to see the new Brotherhood of Evil Mutants return so soon after Battle of the Atom, but I’m really glad that Bendis has brought them back. They are such a fascinating group of characters, we get to learn a lot more about them, and the reasoning behind their return to the past is really clever. All New X-Men #28 is a thoroughly enjoyable issue, it’s packed with action, and the gripping time-twisting storyline is elevated to a whole new level as we discover more about the future Brotherhood and their plans. COMING UP IN THE SECOND WEEK OF AUGUST 2014, TO CELEBRATE THE FIRST IF? COMMIX LAUNCH PARTY IN MELBOURNE (AUSTRALIA) AND THE PUBLICATION OF GRAPHIC NOVELS TOBACCO-STAINED MOUNTAIN GOAT AND THAT ALL STAR BULLETPROOF KID, IF? IS PUBLISHING THIS 12-PAGE DEBUT FEATURE AND SELLING IT FOR JUST ONE BUCK. Featuring Bergen’s character previously seen in Who is Killing the Great Capes of Heropa? 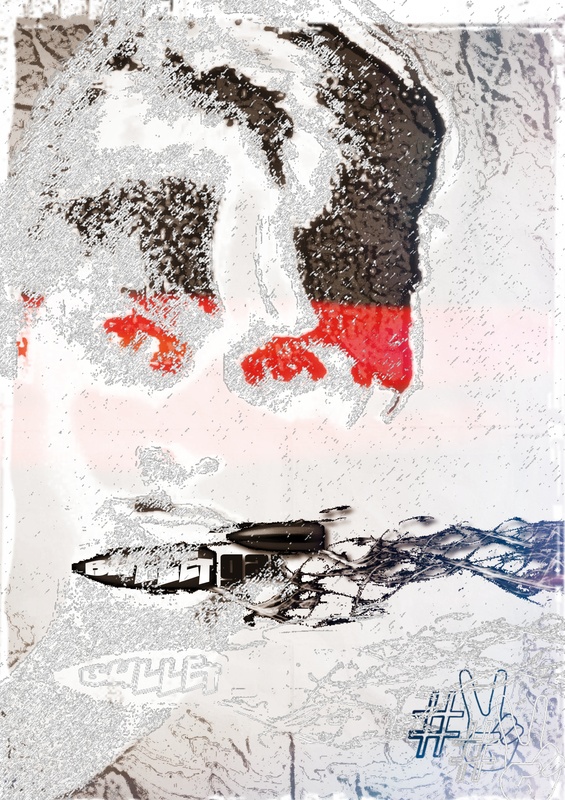 and Tales to Admonish (as well as upcoming novel Depth Charging Ice Planet Goth), Bullet Gal #1 will be a limited-edition printed publication sold at less than half the price of production of the mag. Something to give back to fans and supporters of Australia/Japan-based comic book publishers IF? Commix over the past year. Hell, why shouldn’t comics again be affordable? The digital version will be available FREE after August, direct from the IF? website.